Aviation industry runs with various modules and functions. For a layman, it might just look to pay and fly a flight which reaches the quickest. Many have noted flight fares sometime of the year tends to rise up incredibly high and sometimes the passengers might get at unbelievably lower prices. All these concepts, starting from rise and fall of fares and connecting flight issues and fastest connectivity issues are followed by airline companies and they have that kind sort of an aircraft which will serve the purpose according to the demand. Renowned Scott Beale Tempus aircraft expert explains why. The business models of aviation are a larger story than any layman could ever possibly think off. Like any other large scale business, the airline company needs to reassure their flying budget and a large list of taxation systems along with paying the salaries of the workers. Having said all, here are the models of aviation in details. 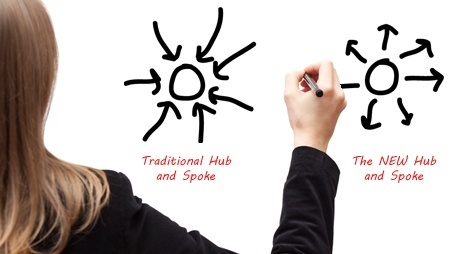 · Hub and Spoke Model of aviation: Hub and Spoke model of aviation explains the concept of a center or nearby hub with spokes as the lesser known airports with lesser importance. It can be imagined as the hub airports will operate flights from smaller destinations and will operate a connecting flight to another important hub destination. For simplicity of understanding, taking into consideration of two important hubs on cross continental basis as Mumbai and London. Suppose 10 different people flying from 10 different smaller Indian destinations to various smaller places in UK, they need a flight to reach Mumbai the Indian hub, from where a larger aircraft will take operation and fly all the way to London, from where flights to smaller UK destinations will have connections. Airbus, the popular aircraft manufacturer follows the model and usually operates with larger A380 aircrafts from the main hub to hub flights, which has a massive carrying capacity. · Point to Point Model of aviation: Point to Point model of aviation is a model followed by Boeing, the popular US based aircraft manufacturer. With this model, flights from smaller destination are often directly connected to the required destination because of a pre requisite demand. For simplicity, if a person wants to fly lesser demand Indian destination likeChennai to London, the demand is incredibly low to operate a larger flight. But still there is a decent demand and that’s where aircrafts like 787 Dreamliner comes to play. The aircraft can carry a modest 240 passengers on a typical configuration and is efficient for a flight of that size. Conclusively, Point to Point model of aviation does outscores Hub and Spoke in many aspects, however the vice versa happens too in quite some aspects. As per Scott Beale Tempus aircraft- lover in the end for the consumers, any competition is a good competition.